These ultimate waterproof P6 SMD digital advertisement LED screen modules are specifically designed for high end solution in both outdoor fixed and rental (mobile) applications requiring ultra clear image details at closest viewing distance even under direct sunlight.The P6mm module can produce a high light output of up to 6500 nits. 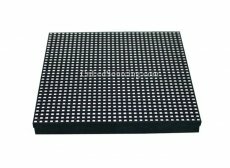 SMD LED modules excel a lot in white balance, contrast ratio and viewing angles compared to basic outdoor DIP display boards. The best price above includes the 192mm x 192mm SMD3535 LED module, waterproof rubber, 16pin signal cable and 5V power cable.